The shoulder joint (the glenohumeral joint) is a very mobile joint. It has gained an increased range of motion compared to other joints of the body but at the cost of stability. There are a number of static and dynamic restraints preventing instability of the glenohumeral joint. However, if one or more of these components fail this can result in shoulder instability. Shoulder instability ranges from the simple subluxation to a frank dislocation. A subluxation means the joint has partially come out of its socket but has spontaneously reduced. A frank dislocation means the joint has been completely dislocated and may require relocation under sedation or even a general anaesthetic. If the shoulder continues to dislocate then this is known as recurrent instability or recurrent shoulder dislocations. Such patients often require surgical stabilisation, which can be done either through keyhole (arthroscopic) techniques or a mini open technique. Apart from the main glenohumeral joint (ball and socket joint) the acromioclavicular joint is also prone to instability. This can occur as a result of direct trauma or can occur as a result of repetitive loading of the joint, which occurs in activities such as weight training and bodybuilding. Acute acromioclavicular joint disruptions may require acute surgical stabilisation or if presenting late may require reconstructive surgery in the form of an acromioclavicular joint reconstruction. A number of patients may have inherent looseness in their ligaments. This is known as laxity. 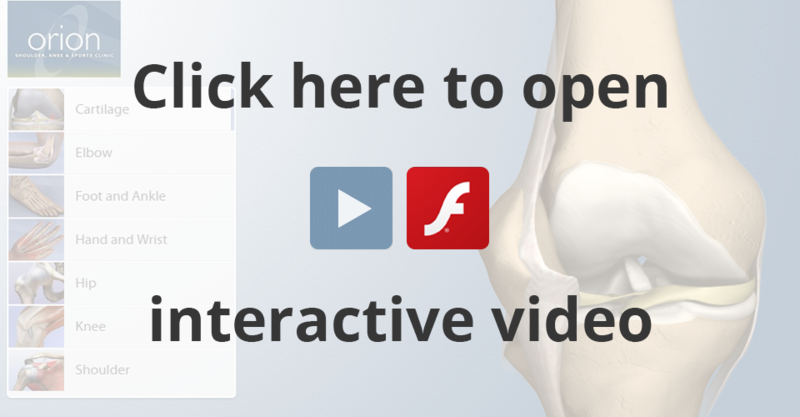 If the laxity occurs in a number of joints this is known as multi joint laxity. Such patients may remain asymptomatic (free of symptoms) throughout their lifespan. However, there are occasions when the asymptomatic laxity becomes symptomatic and this is known as instability. Such patients may develop shoulder instability in the absence of trauma. This is known as atraumatic instability and often the instability is in a number of directions and is therefore known as atraumatic multidirectional instability. The treatment for atraumatic multidirectional instability generally involves an intensive course of physiotherapy, rehabilitation and a scapular retraining programme. If the conservative measures fail then surgery may prove beneficial. 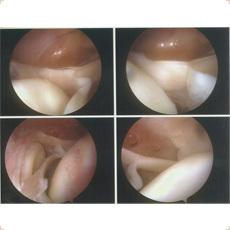 There are various techniques both arthroscopic as well as mini open that can deal with atraumatic multidirectional instability. The principle of surgery is to tighten the capsule and the soft tissues that hold the bones of the joint together thereby reducing the volume of the shoulder joint. The easiest way to describe it is to imagine an individual in a very loose boiler suit. If the boiler suit is slit at the level of waist and then tightened using pants over shirt technique then this will reduce the volume of the boiler suit. This procedure can be achieved through radio frequency shrinkage, an arthroscopic or mini open capsule shift procedure. There is a peculiar condition known as a SLAP lesion which can result in a subjective sensation of shoulder instability and can often cause a sensation of clunking in the shoulder. It commonly occurs in the throwing athlete and may require arthroscopic surgical stabilisation.